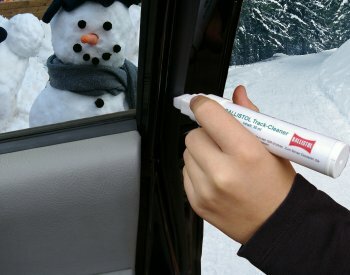 With this Winter-Set you get Ballistol spray with a mini-spray-lance for door locks, trunk locks, steering locks, etc., a start-wonder-spray for all combustion engines with a short and a 60 cm long spray lance, the refillable Ballistol care pen for rubber car door seals and a refill bottle with Ballistol -- also for preservation of car paint for an affordable all-inclusive price. The Ballistol-Story as a booklet you get for free. This winter-kit does not include a low-cost anti-freeze and a plastic ice scraper that is manifold present in the garage. Here you get a useful compilation of high quality and effective components. 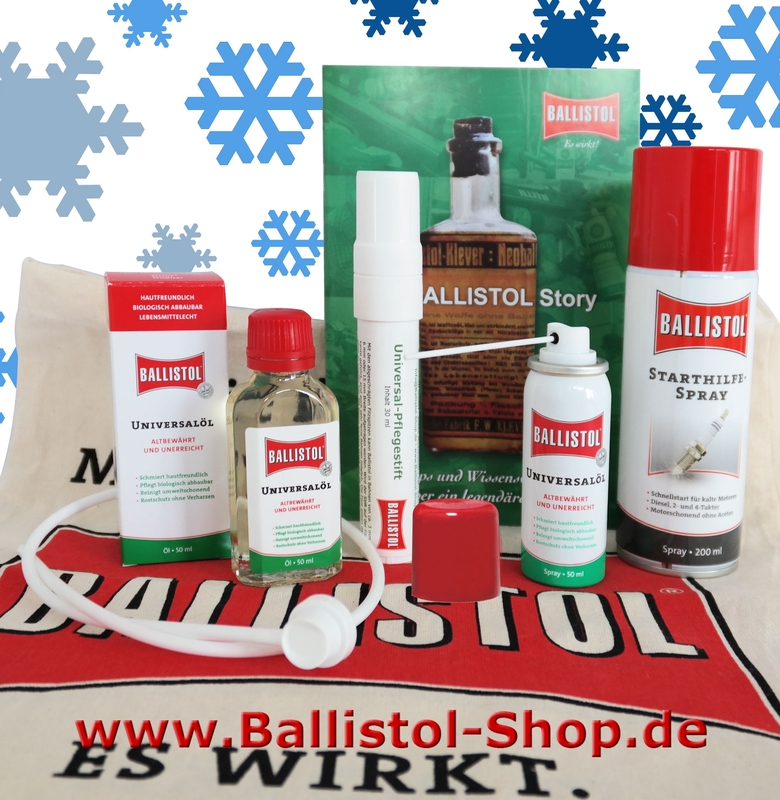 The Ballistol Spray 50 ml of this winter-kit contains a mini spray lance to inject Ballistol in the locks. The door locks will not freeze even in case of severe frost. Ballistol maintains all metal parts and keep the mechanics in winter smooth running. Furthermore you use Ballistol for preservation and maintenance of snow chains, roof racks and roof- and ski boxes, which are always used in road salt environment. So all the material remains protected. 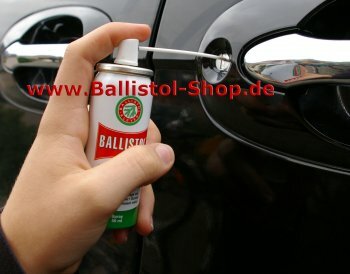 Ballistol is also best suited to conservation car paint and all metals, which you want to winter. 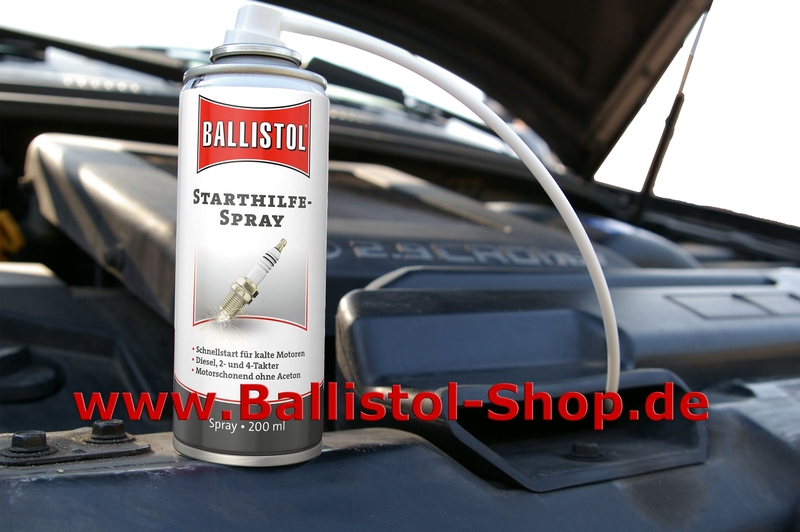 For overwintering of motorcycles, the cylinders, the combustion chambers and the exhaust is to be spray in rich with Ballistol. Then even the harshest winter will damage-free survived. Spray Ballistol also in the carburetor, turn off the gas valve, unplug the spark plugs and let the motor spin a few tacts. Acidic combustion residues are rapidly neutralized, pistons, cylinder walls and cylinder heads remain bright. The engines can easily start in the spring. A brief cloud of smoke indicates that the inwardly disposed dirt is blown away. Performance and durability are your gratitude for reasonable care with Ballistol. Thins sprayed and wiped with a soft cloth, the bike is well protected under the winter cover and any impurities that could not be removed just before the winter, will be solved and can be easily wiped off in the spring. This start-up spray we deliver in Winterset complete with a medium and a very long (60 cm) spray lance. 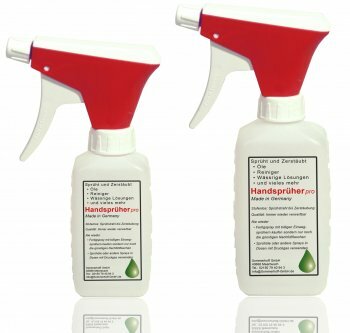 The start-up spray is suitable for all combustion engines and fuel types and is always helpful when cold, humidity or sooted sparks complicate the start. Here you will find the complete description of the start-up spray 200 ml. 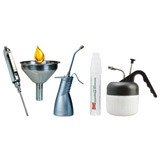 With this Spray lance for all spray cans you can reach deep into hidden places. It is perfect to inject the start wonder deep into the air filter box. So you reach necessary close to the mixture preparation area. At the output end the spray lance has a small disturb attachment which radiates the start-up spray in all directions. 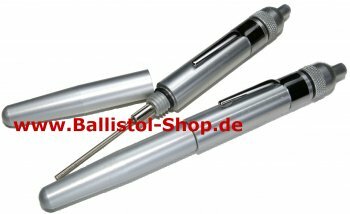 Here you will find the complete description of the spray lance 60 cm. Ballistol maintains all rubber car door seals and ensures in the winter that they do not freeze on metal surfaces and that they not be damaged when you open the car door or the trunk. With Ballistol maintained car door seals remain for years as new, are not fragile and brittle and the smoothness is preserved. 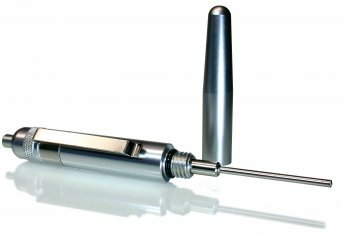 The Ballistol care pen has a wide rectangular fiber tip, which makes it possible to maintain with the broad side wider rubbers and with the narrow side thinner rubbers in a single operation. The care pen is already filled with 30 ml Ballistol and is always refillable. Three replacement tips are included. The robustly and handy Cloth bag ensures, that your Ballistol winter–kit is always ready to hand. 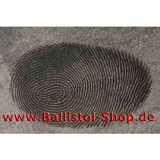 The Ballistolstory contains all information about the history, the development, the present and above all about the possible applications and many reports from customers. All the themes, which are referred in the description of the winter-kit, will be explained in the Ballistol-Story. The print-version of the Ballistol-Story is only available in German. Here you find the Ballistol-Story online in English (shorter version). Ballistol is proven for engine preservation, for current models as well as for classic cars. Pistons and cylinders remain blank if they are stored with Ballistol. Ballistol also protects chrome parts and rims. In summer, a whiff of Ballistol to the bonnet is enough and insects can be easily wiped off after the ride. Ballistol will also uphold the proper functioning of automatic antenna and all Bowden cables and other control cables. Ballistol extended the lifetime even for stiff wipers. Sprayed in the guides of automatic windows, these closed easier and the drive is protected. A small amount of Ballistol in the rinse water let of paints and plastics shine in new splendor. 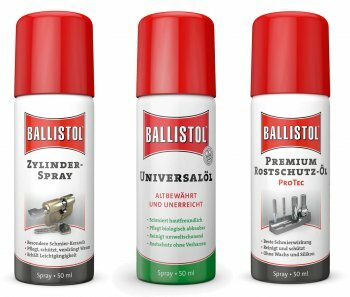 Due to the properties as a rust remover and rust protection Ballistol also perfectly suited for the restoration of vehicles of all kinds. Ballistol also keeps the battery poles shiny and corrosion free. It neutralizes the leaked battery acid, which is always the cause for contact failures at the connecting cables. Also old relay from old-timers will be revived as fuse boxes with a couple of Ballistol-sprayers are protected against oxidation. A few drops of Ballistol in the final rinse water give the car paint fresh shine and weather protection. Dried-up insects and tar spots can be removed easily when you let Ballistol short soak and then wipe with a soft cloth. In this emulsion Ballistol is also a perfect cockpit care. Aluminum, plastics, leather or wood fittings in the interior with a soft, lint-free cloth and all shines like new. Also leather seats can be regenerated in the same way. Keep in mind that bright leather darkens with Ballistol. 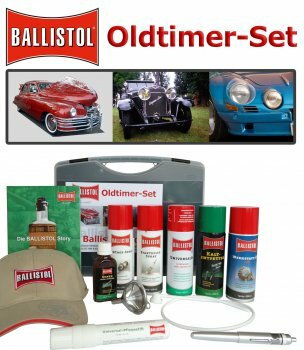 Because of its material compatibility and versatility Ballistol is particularly popular at classic car owners. Squeaky belt silenced sprayed with Ballistol and stick again to the drive disk. Ballistol has proven very good for cleaning motorcycle wheels, which are dirty with chain spray and dirt. 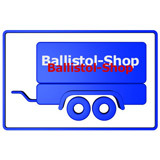 Also, the chains can be cleaned with Ballistol from resinified oils and thereby adhering dirt, tar and rubber waste. Similarly, the suspension fork, the frame and all chrome parts. For the care of often heavily-stressed leather bench, saddle bags, cases and top case Ballistol is ideal. More details you will find in the Ballistol-Story. 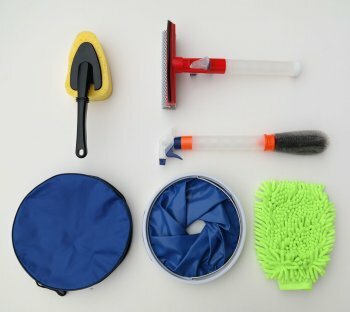 Here you add a review for the product Winter-Kit for car and motorcycle and share your experience with other customers.